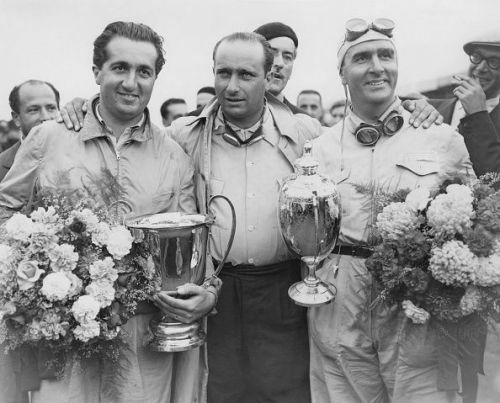 Alberto Ascari (left) and Nino Farina (right) are both Italian F1 champions. There's a saying in Formula 1, that F1 would not be F1 without Ferrari and vice versa, owing to the importance of the Italian team in sport. The same is true on the driver front too, there have been some incredible talents to have come out of Italy over the decades, including a few world champions. For a while, though, the future of Italian motorsport has been cast into doubt, with the race at Monza potentially being the last one in 2019 and no Italian driver on the grid since Jarno Trulli and Vitantonio Liuzzi in 2011. However, the return of Alfa Romeo as a manufacturer and Antonio Giovinazzi as a full-time driver, the next few years could be positive ones for Italy in F1. Although Jean Alesi "The French Sicilian" was born to Italian parents, and Mario Andretti was born and raised in Italy, neither are included on this list, as both competed under the French and American flags, respectively. Riccardo Patrese's most successful period in F1 was his time at Williams. Riccardo Patrese held the record for the most race starts in Formula 1 for the best part of two decades, and while he never realistically challenged for the world championship, he was a fine driver. Patrese got his F1 break with Shadow after the tragic passing of Tom Pryce in South Africa in 1977, and he'd get his first podium the following year in Sweden after moving to Arrows. He'd remain with Arrows until the end of 1981, picking up the odd podium along the way but Brabham came calling for 1982. Bernie Ecclestone's team had just won the driver's championship with Nelson Piquet in 1981, and Patrese took his opportunity straight away, claiming his first win during an extremely eventful Monaco Grand Prix in '82. The Brabham was fast but it was also hopelessly unreliable making a challenge for the championship near-impossible. 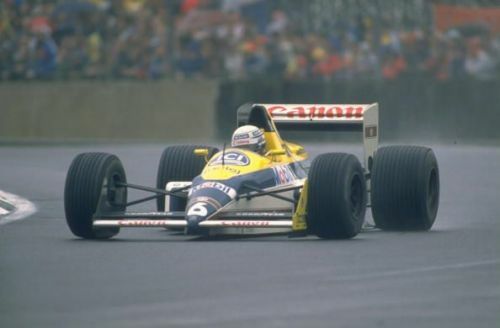 Patrese would fade into the midfield obscurity, but when Williams got their act together in 1989, the Italian would have his best years in Formula 1, finishing third overall in both 1989 and 1991 and as runner-up in 1992. Consistency rather than outright incredible speed was Patrese's style, standing on the podium 37 times compared to his 6 wins, with a seven-year gap between victories between 1983 and 1990. Patrese would have one last season in F1 in 1993, partnering Michael Schumacher at Benetton and hanging up his racing gloves at the end of the campaign.